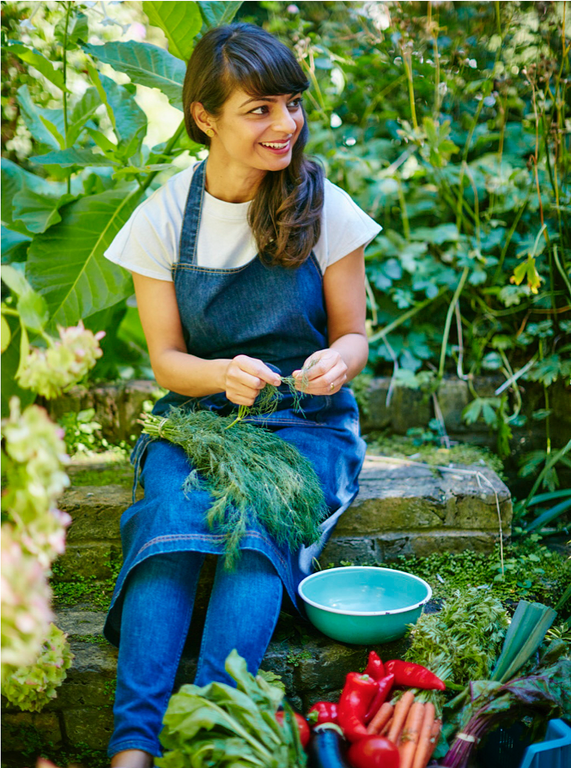 To celebrate the release of Meera Sodha's hotly anticipated new cookbook, Fresh India, a team of Happy Foodies have been cooking from the book all week. Find out how they got on with Meera's recipes in their kitchens at home. 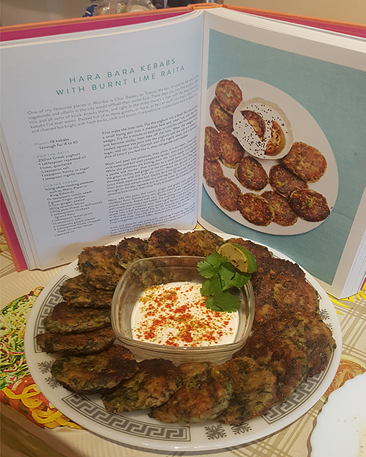 What I thought: Hara Bara kebabs are so easy to make with common ingredients and taste super delicious. All ingredients can be found in a local supermarket. This is a perfect finger food that can be served as a starter or as a main meal. 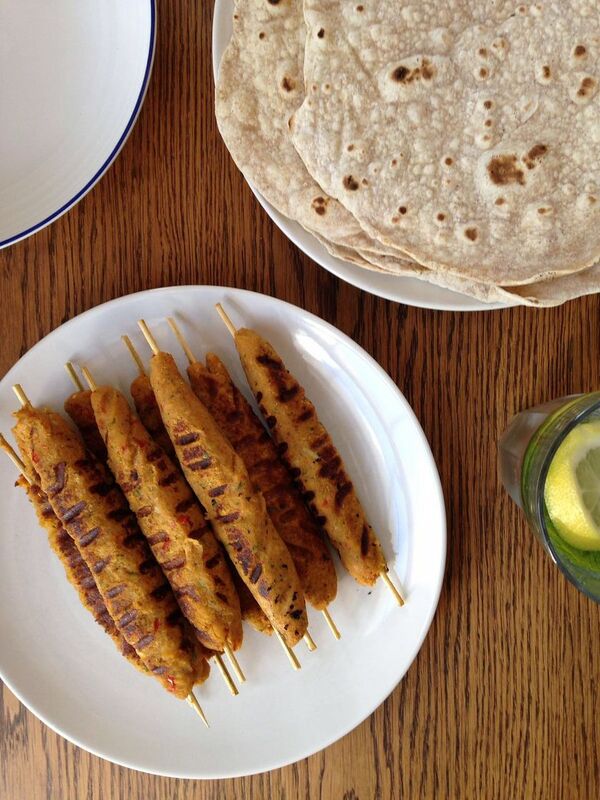 Me and my friends stuffed the kebabs into garlic pitta bread added chilli sauce and lime Raita. I do not cook on a regular basis but this is the most straightforward dish I have ever cooked. 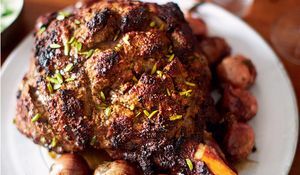 So need to make a last minute meal for an unexpected guest or learning how to cook then this is a perfect, flavoursome recipe with very little room for error. 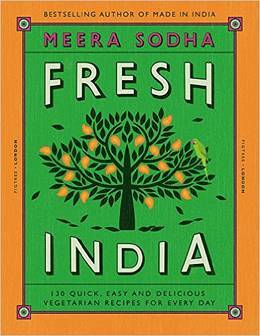 What I thought: Having made most of the recipes in Meera’s first book, Made in India, I was beyond excited to have a new one to start cooking from, and have already worked my way through many of the recipes in Fresh India, using dog-eared pages of an early printed word document before I had the finished thing of beauty! 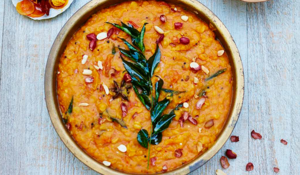 New favourites include the rainbow chard saag aloo, the aubergine fesenjan, the baked onion bhajis and the beetroot shami kebabs, but for Cook the Books I decided to make a recipe that I’d been eying up for a while: the Goan butternut squash cafreal. 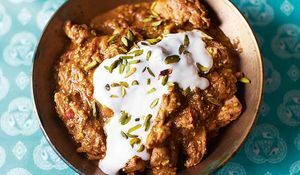 It was such an easy and delicious midweek dinner – the sauce reminded me a bit of one of my Made in India favourites, the coriander chutney chicken, but with the pleasing addition of a tin of coconut milk. The sauce went so well with the roasted butternut squash, and the crispy onions on top were a favourite also. It all came together with a minimal amount of time and effort, and tasted and looked fantastic. What I thought: I made Meera’s aubergine and pea curry to accompany a night in watching the football. It’s amazing how quickly Made in India, and now Fresh India, have come to replace any need or want for a takeaway. 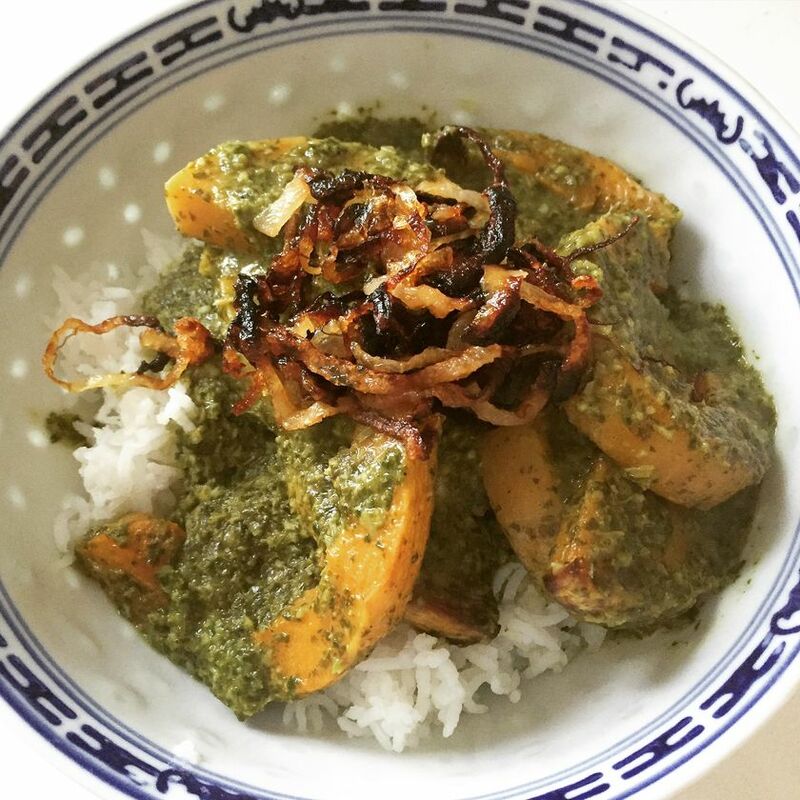 I’ve become evangelical about Meera’s cooking, and not just because I’m the publicist. One of the most heartening things is when friends anecdotally tell me how much they love her food without realising I work on the book! But that’s beside the point – to the food. 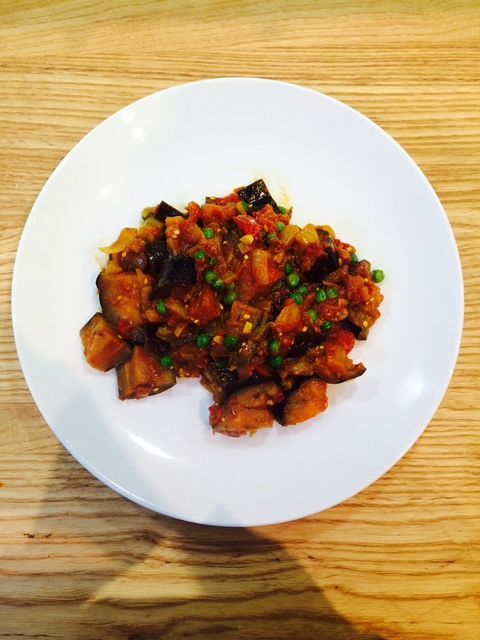 Meera’s aubergine and pea curry did not disappoint. It was DELICIOUS and, as ever, incredibly easy to make. It barely took any time or labour. Making the masala paste was very simple, and the smell it created was sensational. I was slightly alarmed about the amount of aubergine I was chopping up but as it cooks, it reduces down. It also may seem like a lot of aubergine vs. masala but the water that comes out of the aubergine during cooking and mixes with the paste creates a delicious sauce! It was very easy to tell when the aubergine was ready, as usual Meera’s method was spot on. Then it was just a matter of adding the peas (I used frozen straight from the freezer, I didn’t defrost them first) and frying up some chapattis. I served it up with some lime pickle. A perfect night in, with some leftover for the following day! 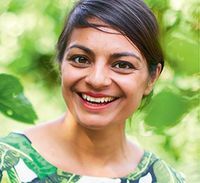 Try some of Meera's Fresh India recipes yourself - check out these Baked Onion Bhajis, Meera's Gujarati Dal with Peanuts + Star Anise or even learn how to make your own Leek, Pea and Mint Samosas.